Spider Vein Removal at Home - Is It Possible? Spider Vein Removal at Home – Is It Possible? 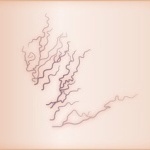 Spider veins can appear anywhere on the body. Whether they appear as thread veins on face or thin reddish to purple veins on the legs, having spider veins is an unsightly condition that many will seek treatment to remove them for good. Spider vein removal is often taken care of by way of laser procedures by a physician. Sclerotherapy for spider veins, when medication is injected into the veins, is another avenue for treatment. Such spider vein removal methods can be time consuming, as more than one or so visits are often needed. They are also expensive since most insurance companies will not cover the cost of cosmetic related surgeries. As an alternative to seeking professional medical assistance in ridding the body of spider veins, some folks will often use home treatment to resolve their condition. Leg vein problems can stem from a number of other health issues. Varicose veins and spider veins are often due to excess weight or internal illnesses such as diabetes or elevated cholesterol. Often times, weight loss and treatment of the underlying conditions will alleviate some of the leg vein problems. There are a few other home methods for the fight against spider veins as well. Spider vein cream, which is often comprised of Vitamin K and horse chestnut, is a topical potion which has had promising results in making unsightly veins disappear. Taking a bath in Epsom salts is another medical alternative. A daily walk is also beneficial for the body’s circulation and leg vein issues. This will also help in the weight loss plan which should also be followed to rid the body of spider veins. Wearing tight fitting stockings is another method of home treatment. When sitting for long periods of time, feet should be kept flat to the floor to prevent stress on the legs. Also, avoid crossing the legs as this compromises circulation as well.